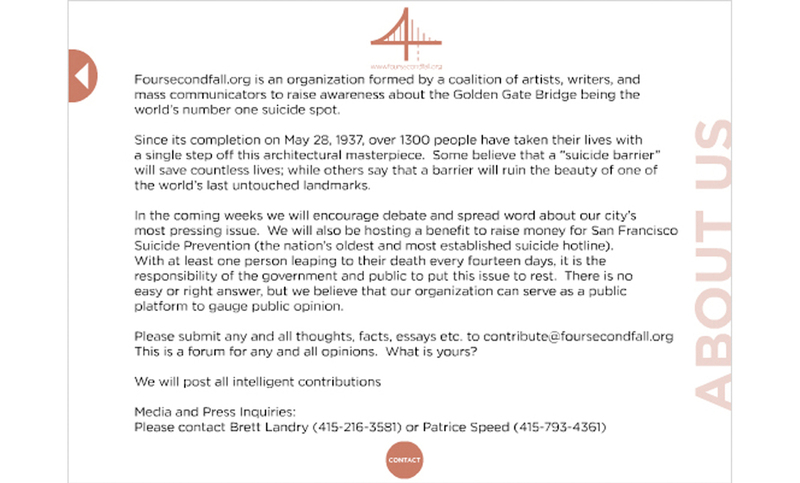 This is an organization created by 12 people to create awareness of the alarming number of Golden Gate Bridge suicides. 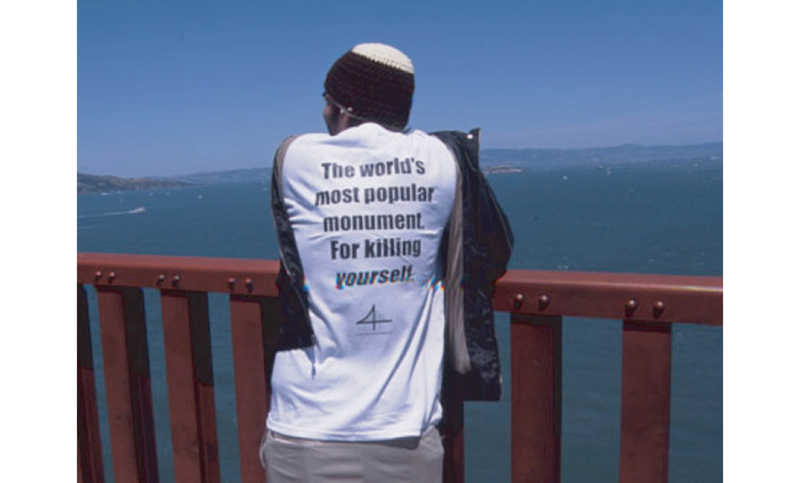 This famous San Francisco landmark is the world's number one destination for people wanting to kill themselves. 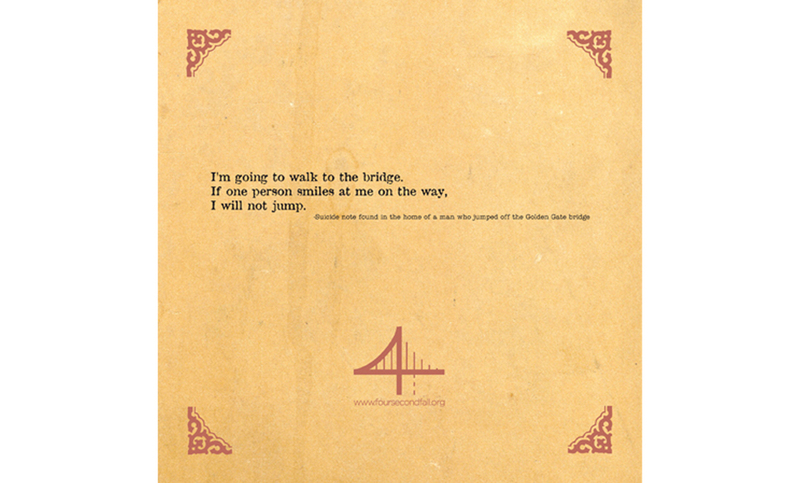 We created this organization at a time when there was an ongoing debate over whether or not to create a preventative barrier along the length of the bridge. As a central location in San Francisco's Union Square, Macy's was the ideal location for our first experiential live event. On one of the busiest shopping days, hundreds of human-shaped balloons were released from their rooftop restaurant. Each balloon had a redesigned but very real suicide note written by people prior to their jump. 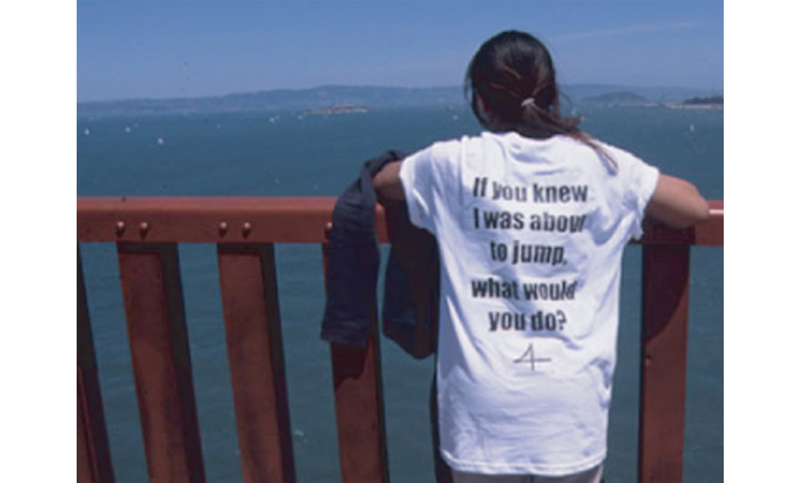 Wearing t-shirts with facts about the Golden Gate Bridge suicide victims, we became walking billboards for our cause. We stood at the rails and looked out to sea, impersonating someone who might be contemplating suicide. 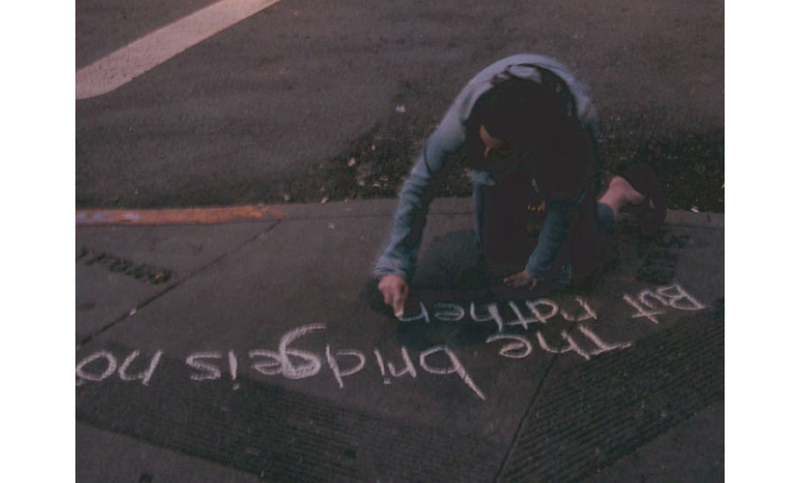 We created hundreds of suicide-themed haikus and wrote them in chalk in neighborhoods all over the city. 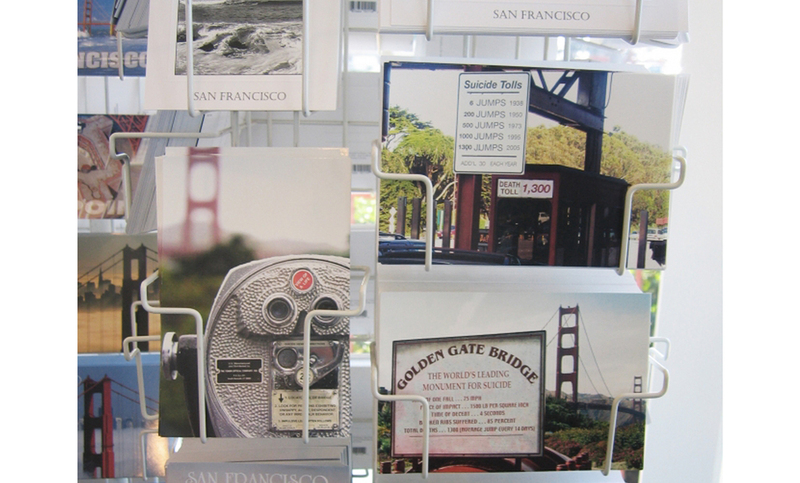 We placed postcards with Golden Gate Bridge suicide facts in stores all over the city, including in gift shops on the bridge. 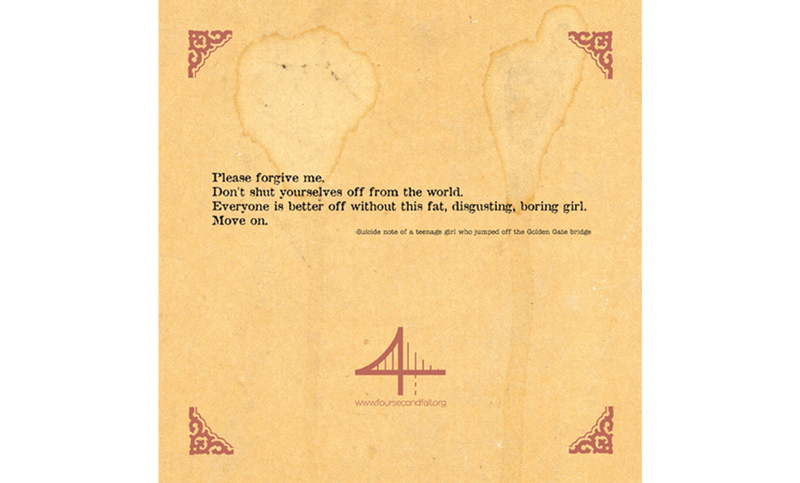 All elements of the campaign led people to our website, foursecondfall.org, which was dedicated to this important and often ignored issue. It also served as a forum to discuss what should be done about the number of suicides and the creation of a preventative barrier on the bridge. 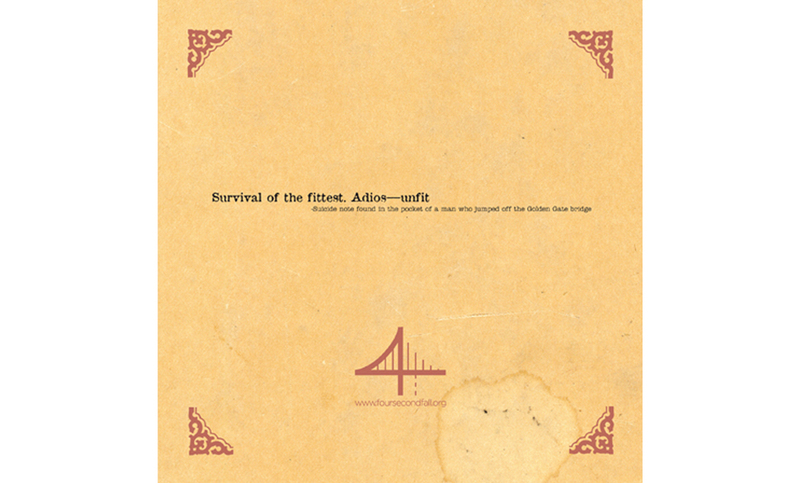 With almost no budget, we had created a 3-week guerrilla style campaign that culminated in an art and music show featuring work by people affected by the the suicides. All proceeds went to the San Francisco Suicide Prevention organization and was the largest donation ever made in their 43-year history.